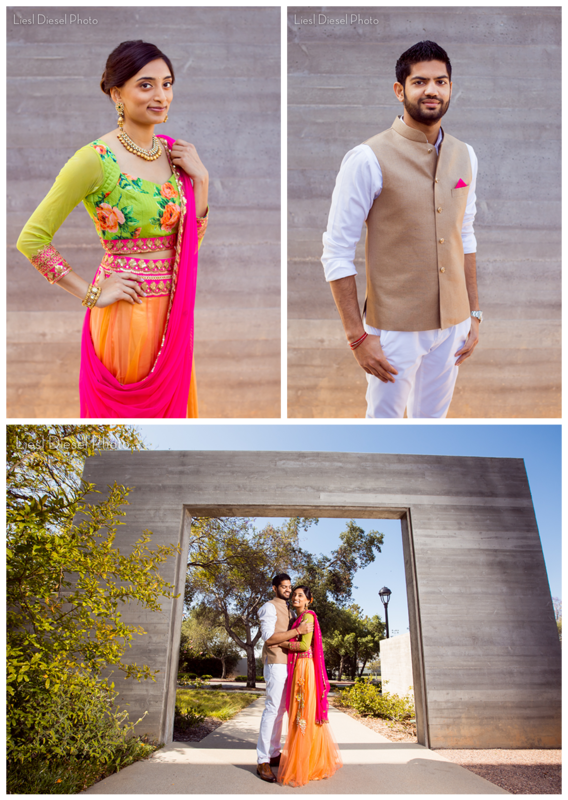 I met Kabir quite some time ago when he helped his brother, Dev, plan a surprise proposal for his girlfriend. You can see Dev and Trish’s surprise proposal here! Kabir planned his surprise proposal for Sneha well in advance as well! 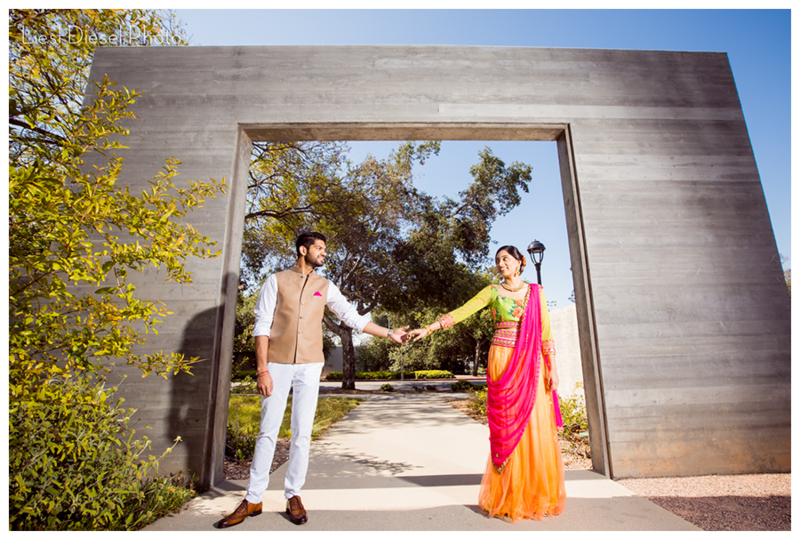 The families had both agreed to the union and he planned to propose to her during their portrait session the day of their engagement ceremony, which was held at their home. 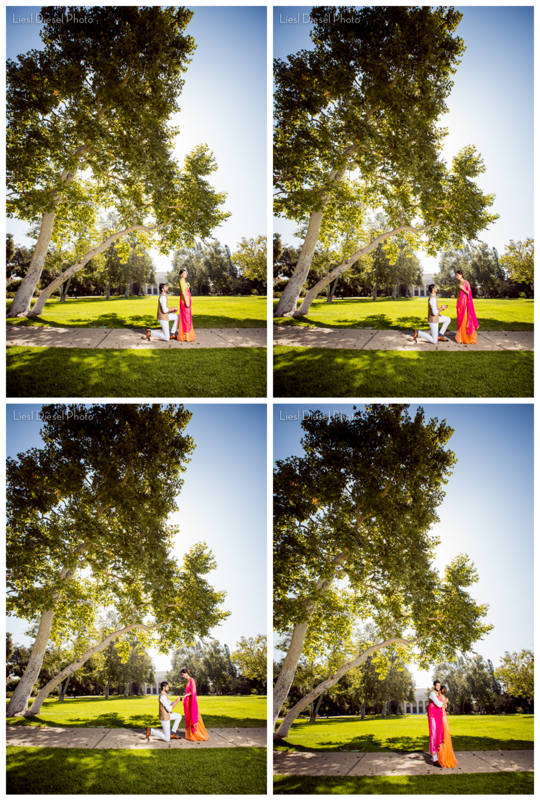 The portrait session was nearby at the Pomona College Campus, which is so beautiful! The campus is full of beautiful gardens, sculptures and architectural elements. 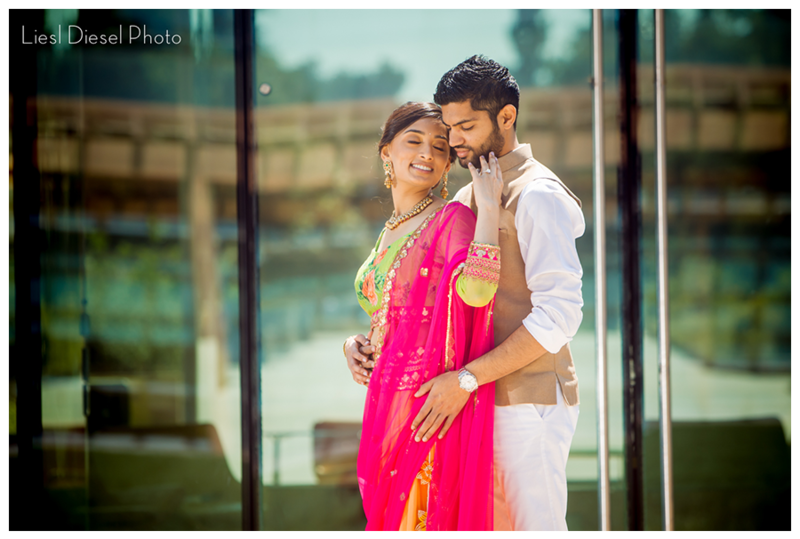 Kabir and I discussed ahead of time how we could decide when to surprise Sneha with the engagement ring and proposal. Since I had never been on the campus, we agreed that when I found the perfect picturesque spot I would say, “What an ideal location!” When I saw this beautiful tree and lawn I knew it would be perfect. I posed Sneha with her back to Kabir and started shooting. He dropped to one knee and then I directed her to turn around. We walked around the campus and found so many beautiful places to photograph! 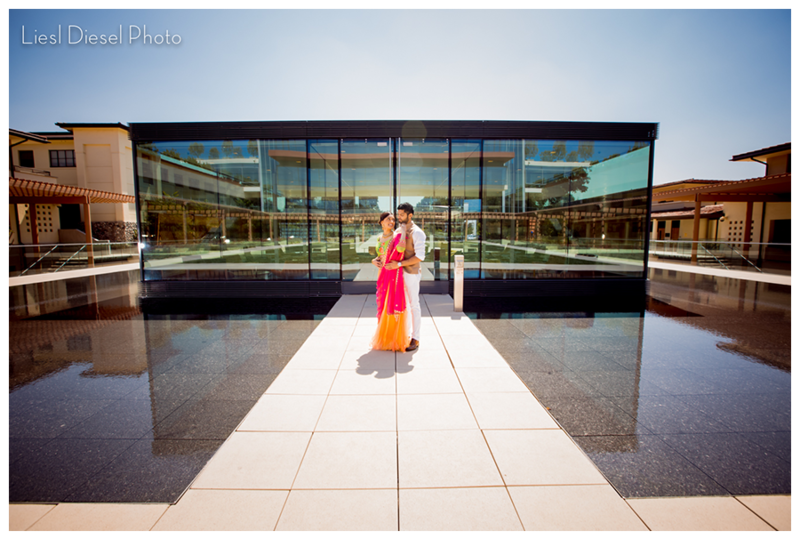 We finished the portrait session by this beautiful glass building which is surrounded by a reflective flat pool. 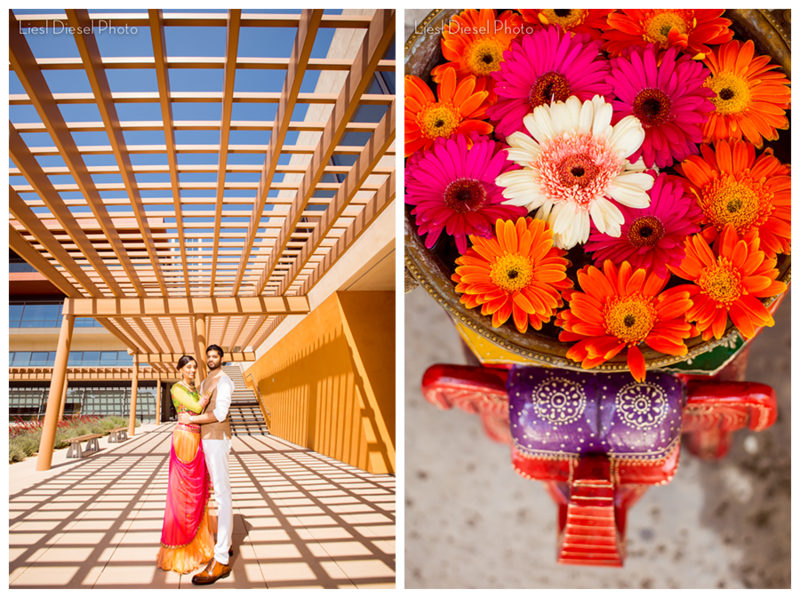 A beautiful piece of architecture with a stunning couple! 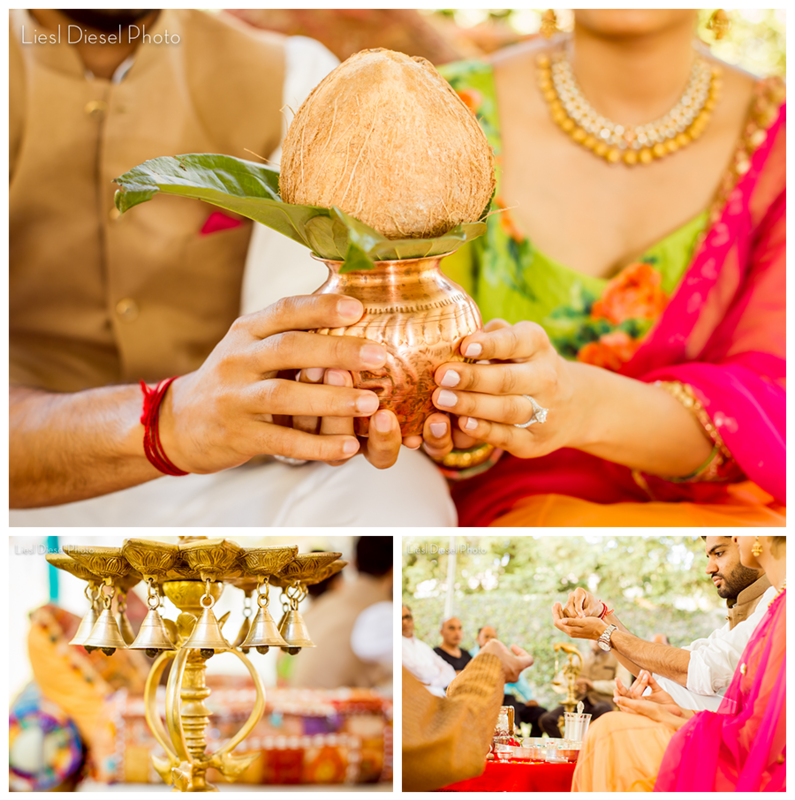 Finally we headed back to the house to celebrate with friends and family and hold the religious ceremony. Thank you so much for hiring me and I hope you both have a blessed life together! 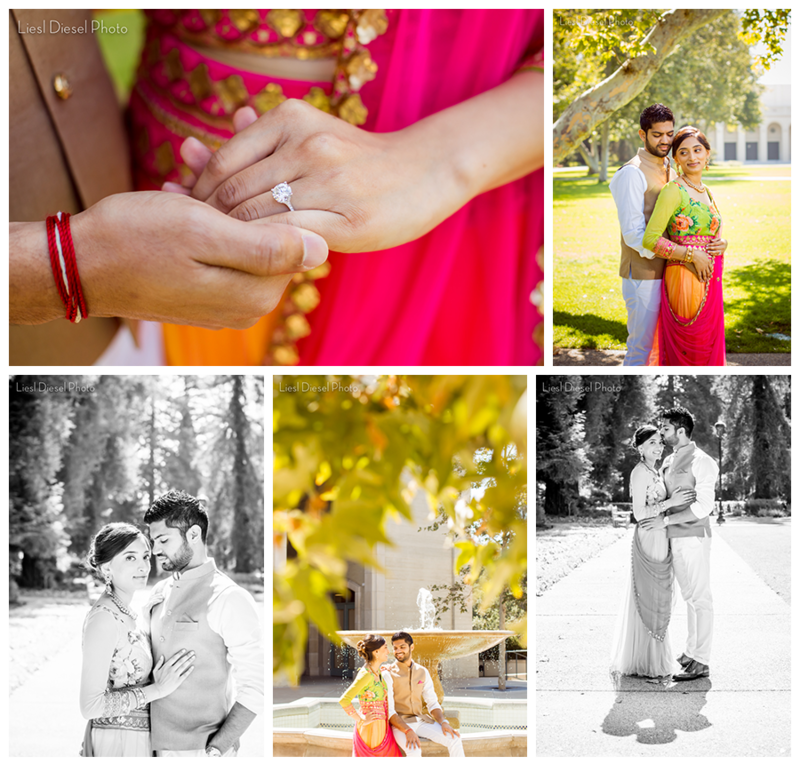 This entry was posted in california, engagements, Portraits. Bookmark the permalink. ← Manhattan Pacific Realty Head Shots for Realtor Julie Haynes!